Marriage is a bond between two persons. To give proper recognition to the bond, a marriage certificate is required. The government of Assam has made the marriage registration compulsory like most other states in the country. The marriage can be registered following the Hindu Marriage Act of 1955 or the Special Marriage Act of 1954. The process of marriage registration is quite simple too but you have to follow the correct procedure or else you will not be able to get the registration done. 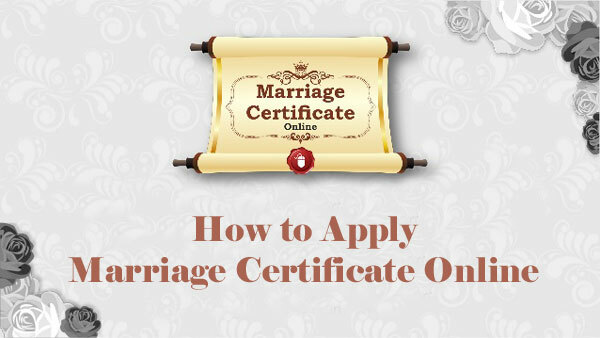 The complete process to get a marriage certificate is mentioned below for your help. It helps the widows by enabling their claim of inheritance. To give rights to women. For claiming life insurance, bank deposits, etc. The age of the bride must be 18 and the age of the groom must be 21 years. The bride and the groom must have lived in the place for at least a month, where they are willing to register their marriage. Visit the official website of the Assam government by clicking the link https://assam.gov.in/. Under the ‘Online Services’ tab, click on ‘Downloadable e-Forms with Supporting Documents’. Now, among all different forms, download the Application for Registration of Marriage. You can also download the form by clicking the link https://assam.gov.in/documents/10180/1641415/APPLICATION%20FOR%20MARRIAGE%20CERTIFICATE.pdf. After downloading it, take a print out of the form on A4 sized paper. Attach all required documents with the form and submit it to the office of Sub-Registrar. Later, on approval of the application, you have to visit the office of the Sub-Registrar again for signing along with the witnesses. You can track the status of the application by clicking the link http://edistrict.assam.gov.in/eDistrict/index.html and entering your application number. You can also download the certificate later by clicking the link http://eforms.assam.gov.in:9080/SPP/. If all goes right, you will get the certificate within 90 days time. The application fee for the marriage is Rs. 2.